It seems as we approach the time of the official announcement of the Oukitel C3 dual sim smartphone. The company expects a lot from the sale of the smartphone, which will be a nice, compact, fast and very cheap. There are many more unknowns about this model, but a lot of the information is already crystallized. 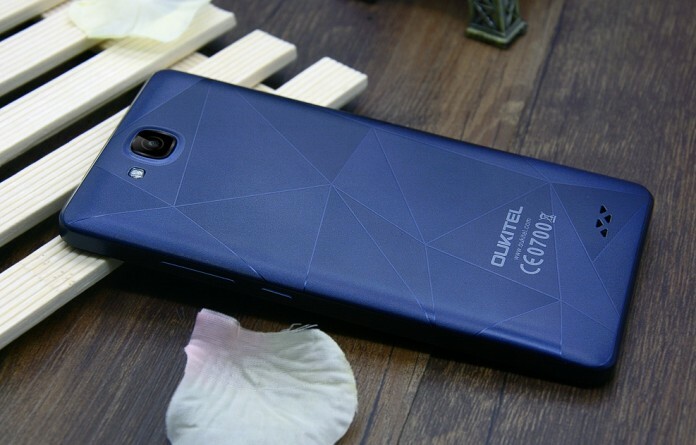 On several occasions we have already wrote about Oukitel C3 dual sim smartphone, so a lot of things we know. For start we know that will come in several colors (black, white and dark blue), it will have a 5-inch IPS display with a HD resolution of 1280 x 720 pixels. Manufacturer of screen is known company AUO, the same one that produces screens for the iPad Mini. What you can see in the pictures are the first official images that emerged, and on them is visible interesting design or texture on the back cover. They say that it is a modern 3D design with an artistic touch. Above the screen is visible ambient light sensor, and the top edge is the headphone jack and microUSB. The rear camera is supposed to be 8 MP with the LED flash, and will have a auto focus. What we have also managed to find out that Oukitel C3 be the first smartphone with a 5 inch screen which will work on 4-core MediaTek MT6580 processor and will run on the new Android 6.0 operating system Marshmallow. The Chinese company expects good sale results, because it is such a small, elegant smartphone with very low price, where the current price is from the price range $39.99 to $54.99 and you can buy it at Tinydeal at that price.